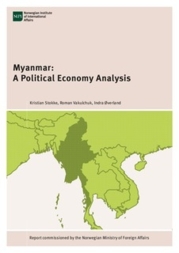 The report “Myanmar: A Political Economy Analysis” was just published, and at this seminar Kristian Stokke and Roman Vakulchuk will present the main findings of this report. What are the main political and economic trends and risks to Myanmar's future development path? Myanmar may for a long time remain in a transitional state with an uncertain future. After a series of political and economic liberalization reforms from 2011 onwards, the country's political trajectory remains open-ended, although the most plausible scenario remains a continued slow democratization process. Knut Østby who is the UN Resident and Humanitarian Coordinator and UNDP representative in Myanmar, will then discuss the complex political situation in the country, touching upon the main challenges to the current peace process, democratic transition and economic transformation and response to the crisis in Rakhine State. He will focus on the role of international actors in Myanmar, including the UN, and their contribution to the transformation process. The event will be chaired by Indra Øverland, Research Professor at NUPI. 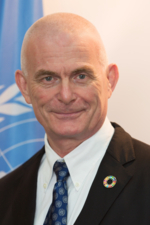 Knut Østby has extensive experience in development, human rights and humanitarian affairs from 17 countries and has served as United Nations Resident Coordinator for more than 11 years including in Timor Leste since 2013. Prior to that, he was United Nations Resident Coordinator in Fiji and nine other Pacific countries, and before that in Iran. 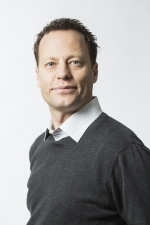 Kristian Stokke is a Professor at the University of Oslo, in the Department of Sociology and Human Geography. His research interests are political geography with focus on democratization and conflict transformation in the Global South, the role of civil society organizations and social movements in substantive democratization and peace. His empirical research focus on Burma/Myanmar, Indonesia, Sri Lanka, Nepal and South Africa. 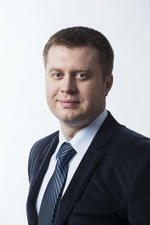 Roman Vakulchuk is a Senior Research Fellow at NUPI. His main geographical specialization is countries of Central Asia and Southeast Asia including Myanmar. He publishes on economic transition and integration, climate change, trade, infrastructure and transport, business climate and business culture, as well as state capitalism in emerging markets. 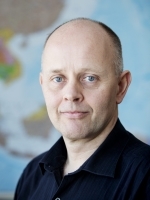 Indra Øverland is Research Professor and Head of the Energy Program at NUPI. He started working on Southeast Asia as a student in 1992, and has since worked as a long-term political observer in Cambodia and done field-based research in Indonesia and Myanmar. He was also responsible for NUPI’s part of the project ASEAN Energy Market Integration, carried out in cooperation with Chulalongkorn University and other partners in the region.